Discovery-owned Freeview channel Quest is to partially undo an unpopular change to its timeshift service. Quest+1 was downgraded on Freeview earlier in the year, retaining a three hour slot in the early morning at the bottom of the Entertainment channel listing, in order to keep a basic presence on Freeview, but rendering it useless for most viewers. 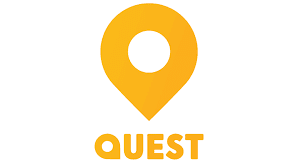 From 1st June 2017, its broadcast hours on Freeview channel 92 will change from the current 5-8am slot to 7pm-4am, enabling viewers to see Quest's primetime and overnight programming an hour later. The changes will also benefit YouView users including BT TV and TalkTalk TV subscribers, whose TV service piggybacks on Freeview for channels such as Quest. The hour adjustment falls short of the full-time service previously available on Freeview. The reduction in hours made earlier this year were part of a sequence of changes on Freeview, which saw new channel Quest Red take Quest+1's old channel number. The original change prompted a backlash from viewers on social media, but the hour extension has been broadly welcomed. Quest is used by Discovery to showcase content from across Discovery's channel portfolio, including factual programmes from the main Discovery channel and sports coverage from Eurosport. Sister channel Quest Red showcases content from the likes of TLC. Strategically, the extension of Quest+1's hours gives Discovery access to a further valuable Freeview slot. Freeview broadcasters have a track record of downgrading +1 channels, at least on a temporary basis, to accomodate new services generally due to shortages of available bandwidth. Notably, Dave Ja Vu, the +1 of Dave, has been repeatedly downgraded over the years to make way for new services, although is currently 24/7 on Freeview. The availability of Quest on cable and satellite platforms is unaffected by these changes.